Today for #SundaySupper we are sharing recipes with you that have an alcoholic beverage or alcoholic flavoring as an ingredient. I thought this was perfect timing since last week I went to a work Christmas party and tried a new drink that I just love and I knew I had to share it with you. It is a Malibu Breeze Cocktail. 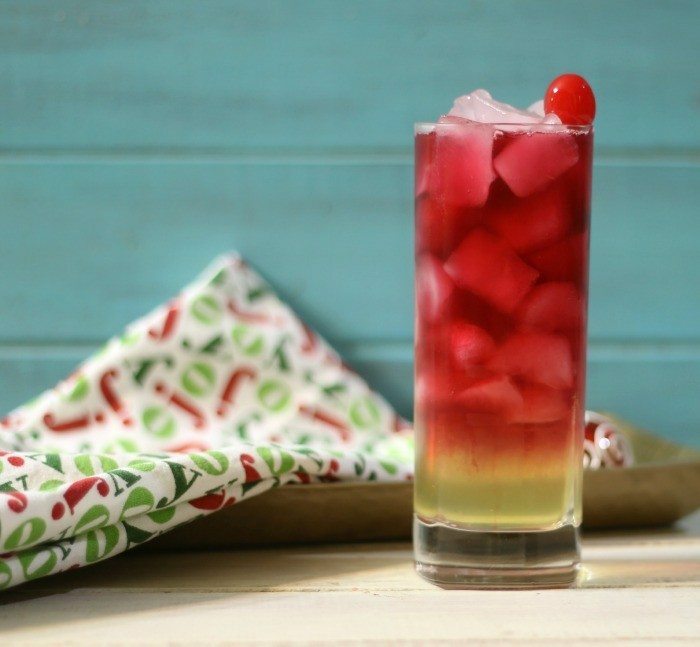 A sweet, slightly tart tropical drink made with coconut rum, pineapple and cranberry juice. in a glass add about ½ cup ice. Add rum, than pineapple juice, stir until combined. 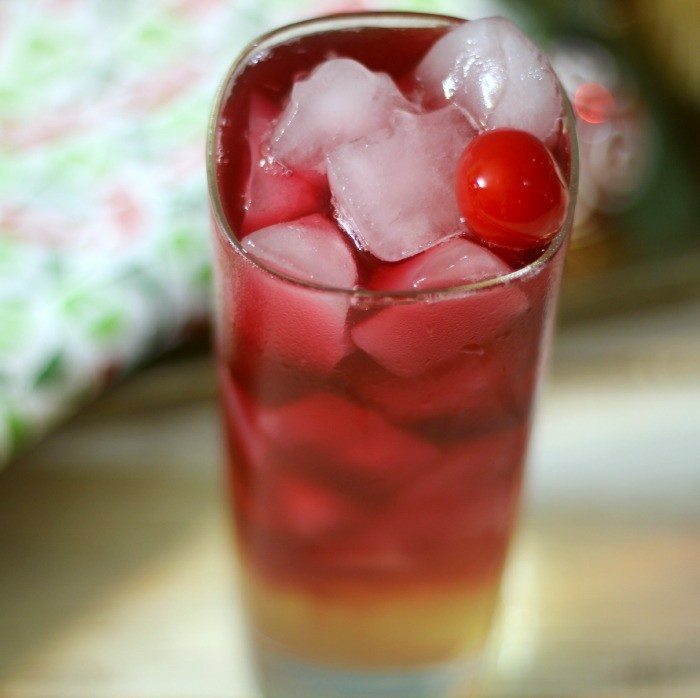 Top with cranberry juice. I got a sneak peek at some of today’s recipes and they sound amazing! I can’t wait to check them out. I plan on trying to do some Christmas shopping today. I am so behind, well actually completely behind because I haven’t even started yet. Eck!!! Such a pretty drink! I love the layered look. I am loving the flavors in this cocktail! I don’t LOVE pineapple juice but I LOVE cranberry juice I bet this would be fabulous together! Thanks Tammi! It’s a fun combo that works well together. Cheers! This a great cocktail! I have never had a Malibu Breeze but that’s about to change. Beautiful drink and great selection for our event. Happy Holiday. Thank you Lea! Last week this was the first time having this drink and it’s wonderful! Happy Holidays to you! So pretty! I can dream of the tropics with this drink even in this dreary winter weather! Love the flavors in this drink! So pretty! 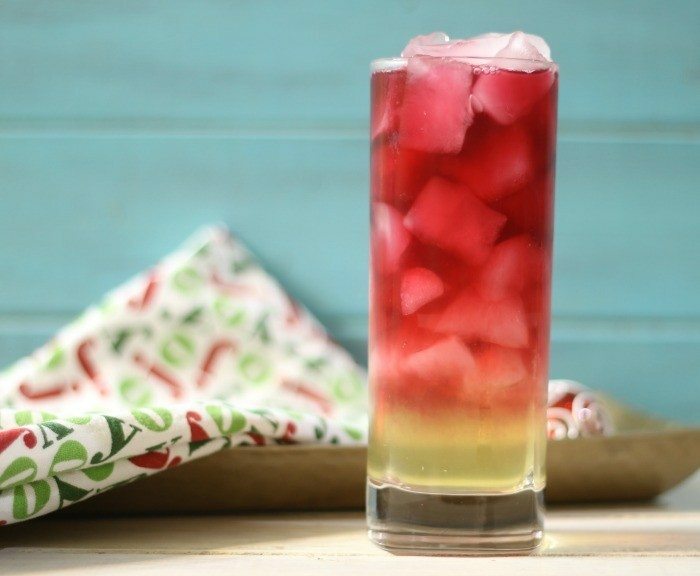 LOVE this gorgeous ombre cocktail! A winner! I can see Santa in his swim trunks, holding one of these with a surf board. Great cocktail!! Ha ha! You make me laugh! I could so see that too! 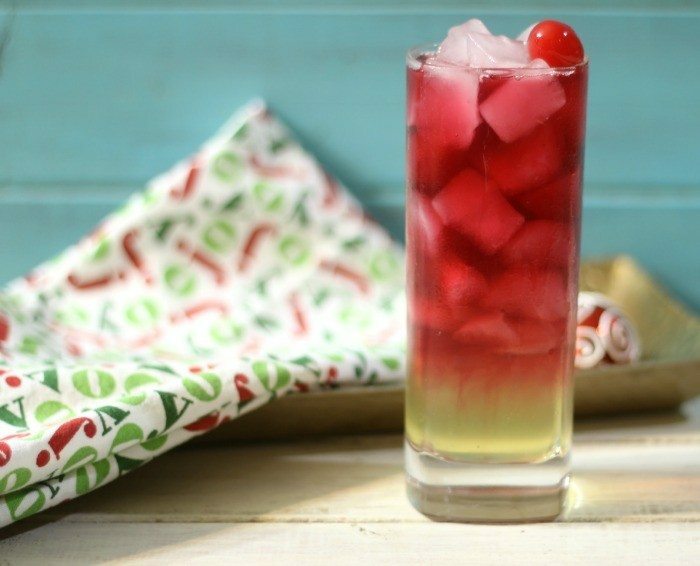 Such a festive drink – perfect for the holidays (or any other time of year!). This is so pretty…and I happen to have some Malibu coconut rum in my kitchen! With your Malibu Breeze in hand, Jennifer, I’m ready to take vacation in Hawaii! P.s. Good to know you aren’t imbibing rum for breakfast. Tee hee! Yum! And your pictures are impressive, I love the layers! I haven’t had one of these since a weekend getaway over 5 years ago to Cabo san Lucas, and they were delicious! Yum, this drink has me dreaming of sand and clear, blue water! Sounds so refreshing! !